© Hannah Hawkins. All rights reserved. 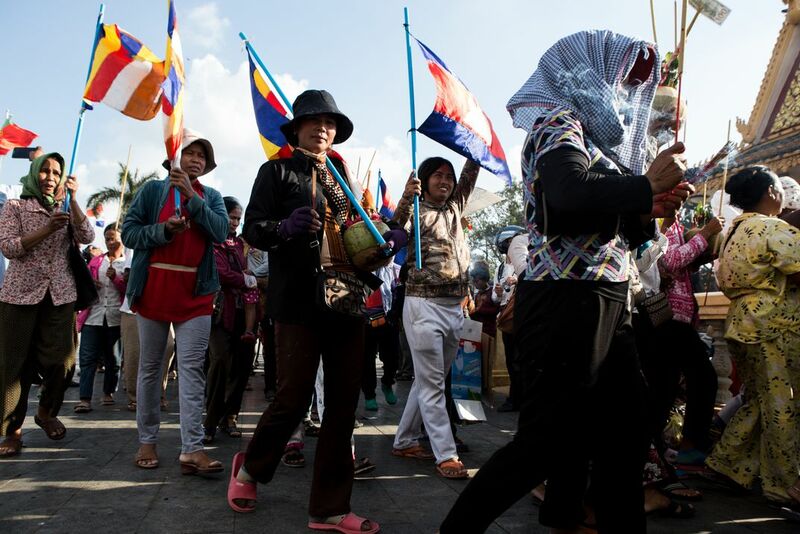 Cambodian land grab victims protest at a temple opposite the Royal Palace in Phnom Penh earlier this year. Their farmland had been given to a sugarcane company, and they came to the capital to make fruit offerings to spirits and pray for compensation. Date Uploaded: Nov. 30, 2017, 5:23 a.m.